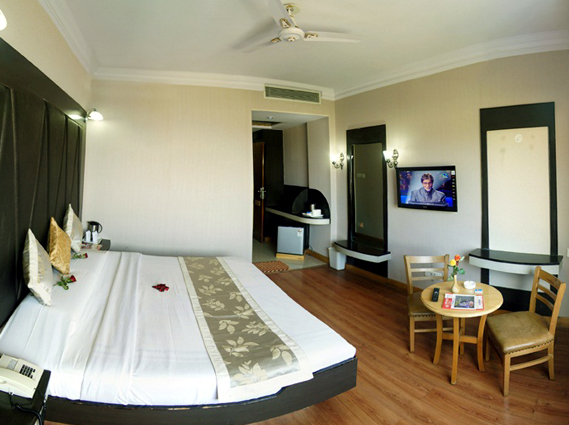 The Super Deluxe is best choice to accommodate two persons.Super Deluxe rooms are elegantly appointed with ultra modern facilities like attached baths,Centrally Heated (In Winters),EPABX,24 Hour running hot and cold water, 32'' LCD,Basic Toiletries,Tea \Coffee Maker,Mini Fridge etc. 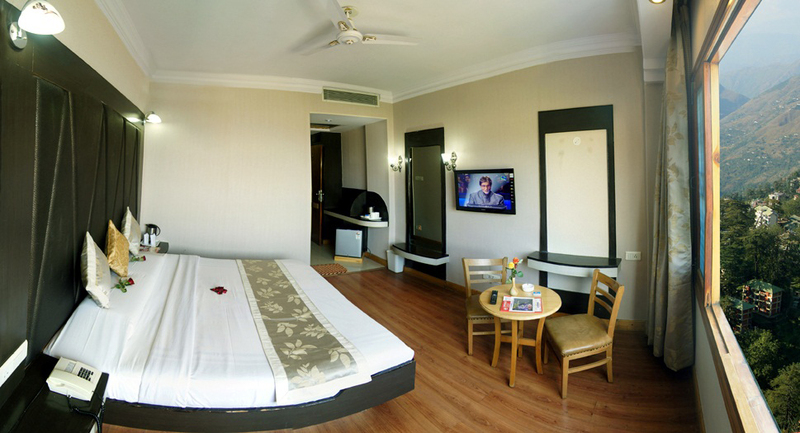 Most of these rooms offer spectacular view of valley and adjoining mountain ranges. The erstwhile glorious summer capital of British raj in India has acquired a magnificent Hotel Landmark Shimla. Adjacent to the famed Gorton Castle (currently A.G. Office) at the top deck (Mall Road) and the Victory Tunnel at the ground (circular road) level.